If tuning in to Al Jazeera or BBC to learn about the crisis in Syria, one would get an image of that: a crisis. The country has fallen into chaos. Syria’s “Arab Spring” that started over two years ago was once filled with optimism and hope, but the outlook today on Syria seems bleak and almost hopeless. 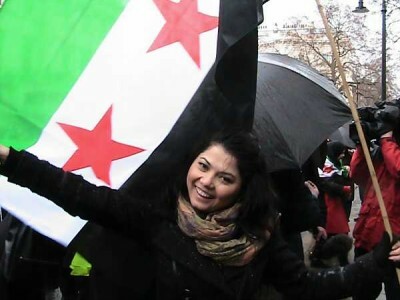 Many Syrians and non-Syrians gathered at the Syrian Embassy on a rainy Saturday morning in London to march in solidarity with the Syrian people struggling to bring down the Assad regime. The march in London coincided with a series of marches in over 20 cities globally, including New York, Toronto, Mexico City, Sao Paulo, Paris, Frankfurt, and Sydney. The march marked the second anniversary of the revolution that started in the Syrian town of Daraa, where a group of schoolboys wrote the phrase “al-Shaab yoreed isqaat al-nizam” — meaning, “The people want to overthrow the regime.” The schoolboys were arrested, tortured, and their family members insulted. Hundreds of people in Daraa gathered calling for their release and for reforms. The Syrian security forces opened fire on the demonstrators, killing four people. 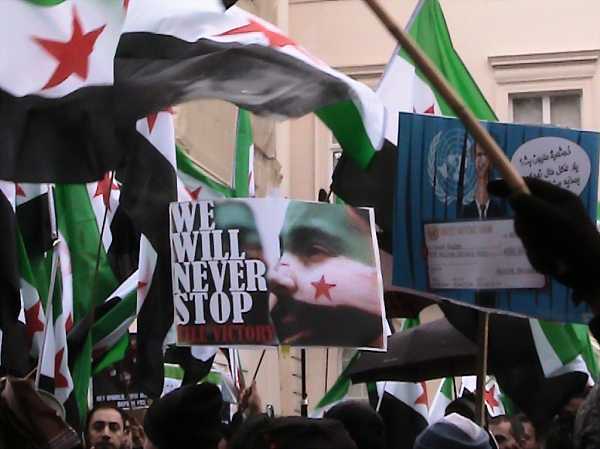 Other cities throughout Syria also started organizing protests, which were faced with violence by the government and, to date, some 70,000 people have been reported dead and several million have been forced to flee their homes, with countless detainees subject to torture in dire conditions. What has shocked so many Syrians and onlookers is the brutality with which the Assad regime has responded to the demonstrators, who started out protesting peacefully. After six months, some of the protesters took up arms, viewing it as the only way to stand up to the Assad regime. 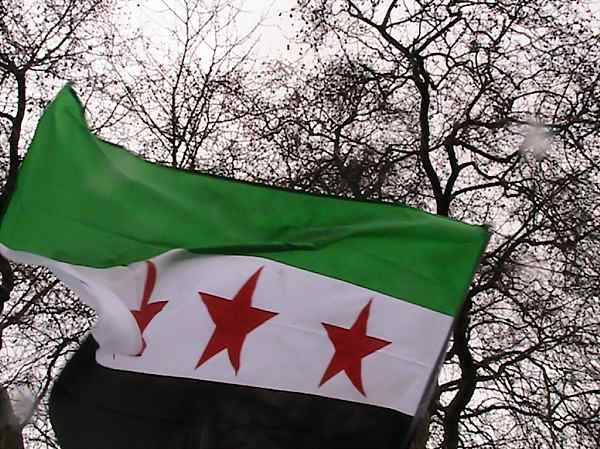 Having traveled to Syria myself in 2009, I know that the thought of a “revolution” taking place was far beyond the imagination of most people just a few years ago. Pictures of Bashar al-Assad were ubiquitous throughout the country, and people were expected to clap at the mention of his name. Once, on a bus going from the capital Damascus to the city Aleppo, which has been bombed heavily recently, I asked my Syrian friend who was travelling with me a simple question about the President and his father. This was a question that I didn’t find problematic but my friend “shhhhh-ed” me, saying “We can’t discuss such things right now.” He explained later that one was never sure who acted as an agent of the regime and so one was never fully free to express, even discuss, politics. I got a glimpse that day of what it meant to live in a military state. Protests were a faraway fantasy and political discussions were silenced. There seemed to be “political suppression,” as anyone who posed a threat or showed opposition to the state was killed or would disappear. The march on Saturday came at a time when Britain and France recently called upon the European Union to lift its arms embargo to supply members of the opposition with weapons. This arms embargo, however, has not hindered the regime from acquiring arms because of support from Russia and Iran. As an onlooker, it appears that there is a broad opposition movement, but not a unified one. I spoke to some Syrians on Saturday to hear their views of this recent proposition by the British and French governments. I will point out that all the Syrians with whom I spoke have family members in Syria and some expressed concern with putting their family members in danger at home because of their political activities abroad, so I will not name names. Another marcher, one who did not agree that arms would help the cause, echoed the suggestion that there was an ulterior motive by those countries who supply arms to the resistance. He is an asylum seeker in the UK, and has helped organize a number of film screenings to help spread awareness about the conflict in Syria. “Stupidity,” he answered and shrugged. In trying to understand the situation more fully, I asked if some minority groups felt safer and protected under Assad, who is himself from a minority religious community. The march ended at 10 Downing Street outside the home of David Cameron, Britain’s Prime Minister. 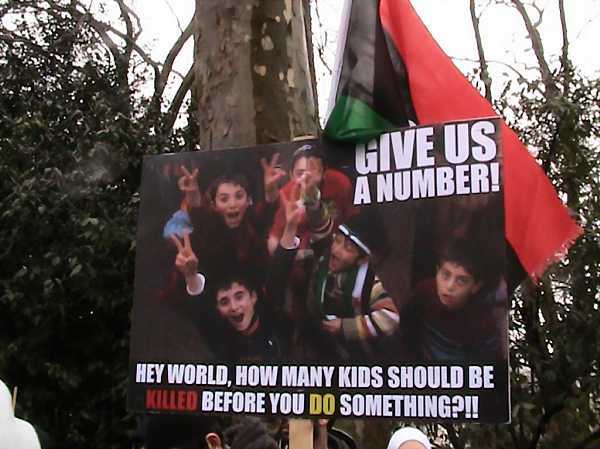 Slogans calling on the world not to turn a blind eye, for Bashar al-Assad to step down, and freedom for Syria. Speeches were made with the central themes of dignity, freedom, and perseverance. A representative from the National Coalition for Revolutionary and Opposition Forces reminded the gatherers of the strength and perseverance of the Syrian people, who for two years have suffered on a daily basis. They have been forced into refugee camps and have sustained themselves under shelling, and yet they are not giving up, which makes this revolution what he calls “a glorious revolution”. He said it would end so that all Syrians can enjoy justice, equality, dignity, and freedom. He saluted the strength of the Syrian people and deplored the silence of the international community, especially Russia and Iran who are directly supporting the regime. He called upon the international community to act so that the supply of weapons to the Assad regime is cut off; a regime he said is “devoid of any humanity or morals”.